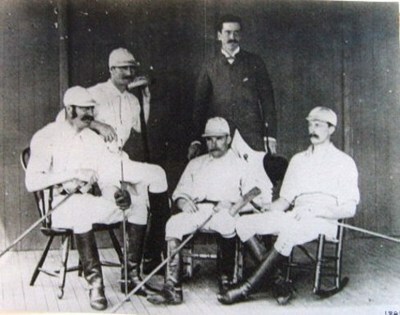 A black & white (reproduction) example of the 1st Westchester winning team. Image size approx 23cm x 17.5cm. \in ivory coloured mount.